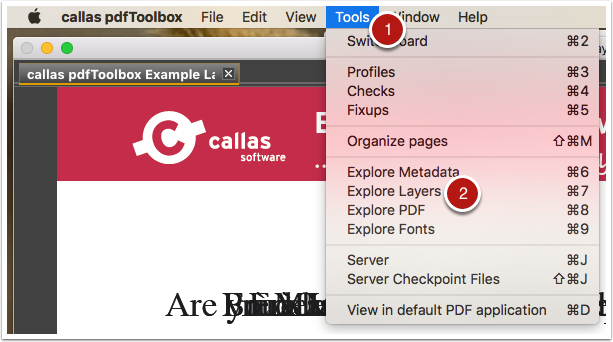 As Adobe Acrobat, pdfToolbox uses the term "Layers" to refer to what is technically called "Optional Content Groups" in the PDF specification. The rest of this article will use the term layers. 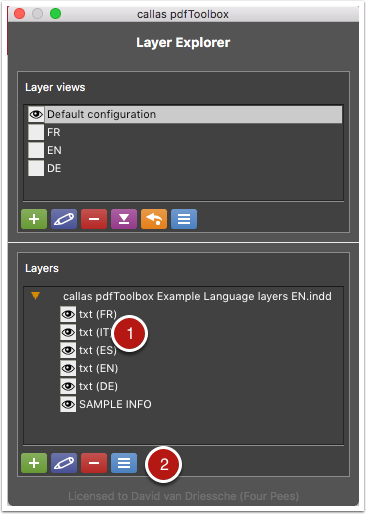 The Layer Explorer lists all layers present in the current document. you can switch them on or off (make them visible or invisible) by clicking the little eye icon in front of their name. If processing steps information is available for a layer, it will be listed after the name of the layer. The buttons under the list of layers allow adding, editing or removing a layer.